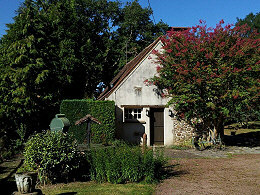 A former farmhouse from the early 19th century in good condition. 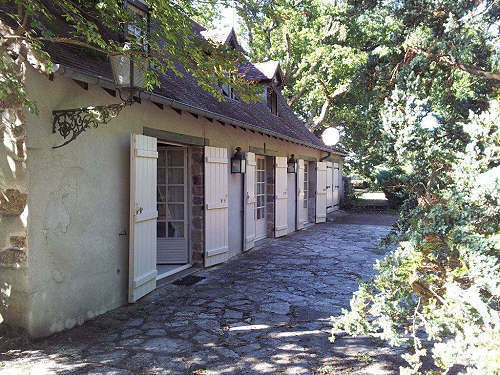 It is surrounded by beautiful parkland with flowers, various shrubs, deciduous and coniferous trees and fruit trees. The land is fully enclosed and not overlooked. 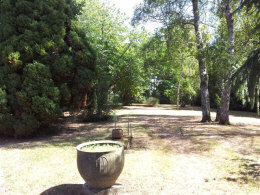 It is in a quiet and picturesque location, yet close to all amenities. The house briefly comprises of a 37m² lounge and dining room with a fireplace, kitchen, 2 bedrooms, bathroom and separate WC on the ground floor. 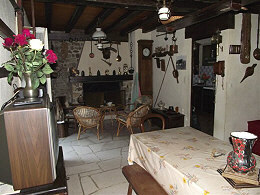 The rooms all have exposed beams. The floors are tiled, except the bedrooms which have carpets. 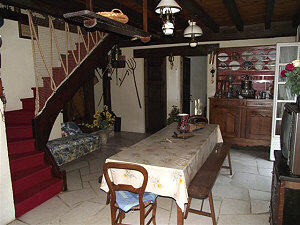 Upstairs, accessed by a wooden carpeted staircase, are 2 bedrooms and an office. The ceilings are wood panelled with some exposed beams and the roof is insulated. The wooden floors are carpeted. The ground floor windows are double glazed. The property has gas central heating supplied from a tank, with a wall-mounted boiler installed in 2003. Outside are 2 paved terraces. The kitchen terrace is south-facing and the one from the lounge faces south-east. There is a garage and a shed, and a well with the connections for a pump. Details are provided in good faith by the owner. Prospective purchasers are advised to satisfy themselves in respect to the information given. Please note that room sizes are approximate. Photographs are provided as a guide only and are not necessarily current. Items shown cannot be assumed to be included in the sale.